My Pretty Kitty is rated 2.9 out of 5 by 14. Rated 5 out of 5 by LanaPook from My very own Pretty Kitty I like this game very much. 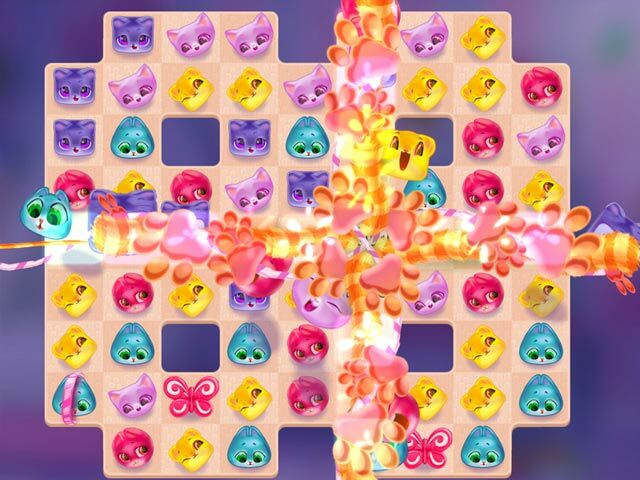 It is a variation on a match 3 with powerups. You can earn many outfits for your pet kitty as you progress through the game. I kind of dress like her. Give it a try if you like cute games. 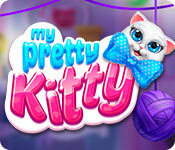 Rated 5 out of 5 by whoopcaterpiller from My Pretty Kitty Hi all, another game from this game maker. 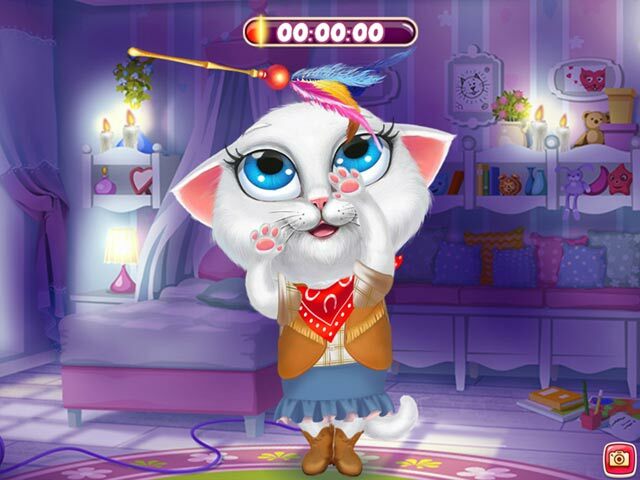 In this one you get to earn pet dollars to dress your kitty though it seems its for children its not just for them. There are also gold coins to earn in each level so you can buy power ups to help get through some of the harder levels. About every second or third level you also get to earn dollars to dress feed and clean up after your kitty it is a very cutsey game. I have bought all of the games this devolper has made and i love them, you can play in limited moves or relaxed mode, either way its a complete delight try it for the free hour and you will see for yourselves. Its a must buy for me. Rated 5 out of 5 by raydog from Play this game for a while! I have seen this game before but I love this character and the other options that you have in this game. It is not a kids game if you give it a chance. I actually love it because it is bright, match three and cute characters. I don't have to go looking for a knife in darkness as in the hidden object games. -- Refreshing! Rated 2 out of 5 by Cherubabies from Good Bye Kitty! The Kitties are very cute, especially "Super Kitty." What I don't like are the "limited moves" and that the board rearranges itself right in the middle of a game play. It even changes when you have your Cursor on a square! That doesn't do anything to enhance the game, it only frustrates you. On Game 5 it kept on saying "Level Failed" even though I don't know why! There is no way I'm going to replay the same level for more than 3 times. This could have been a good game if the limited moves were removed, the background tiles were more pronounced, and the board would stop moving - then I would have spent a Free Credit on it - but unfortunately the way it is now, it's not even worth that! Rated 2 out of 5 by ColoNative from Not Fun This "game" has more to do with messing around with the cats that the match 3 part. Maybe that part is more for children but the actual match 3 could get frustrating for them. I'm pretty good at match 3 and I couldn't get 3 stars on the first puzzle. Not a good game. Rated 2 out of 5 by CyndiLouWho2 from Should be in Children's category or free to play This is another of those game types you can play for free on your tablet or phone; but we're expected to pay money for it here. 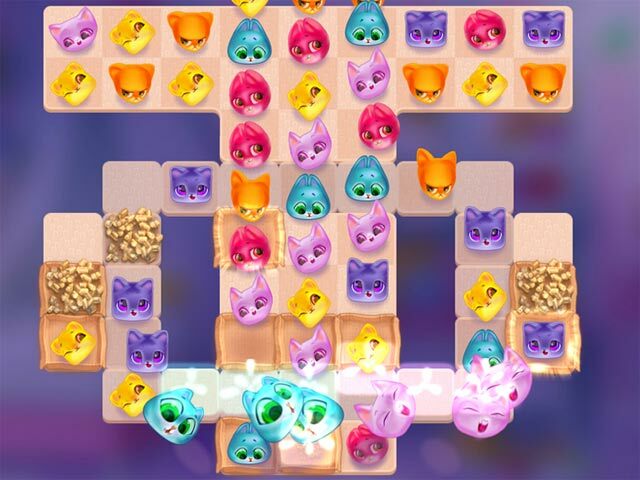 Graphics, colors , buying clothes for Kitty, and entire game play is geared for kids. There's no way to enter different profiles so more than one person can play the game. I'm tired of these poor quality games being pushed on us.